Portrait Of Smiling Couple In Love Enjoying Pedal Boating. Girlfriend And Boyfriend Cuddling On Pedal Boat. Фотография, картинки, изображения и сток-фотография без роялти. Image 106721598. 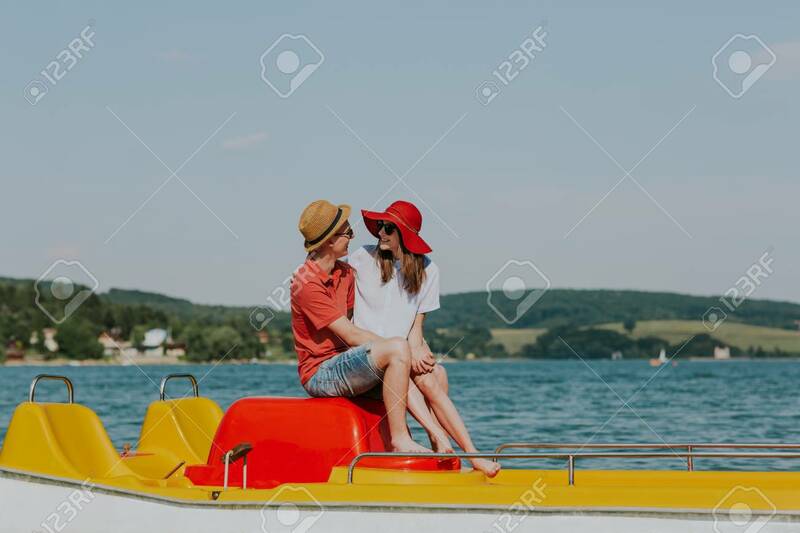 Фото со стока - Portrait of smiling couple in love enjoying pedal boating. Girlfriend and boyfriend cuddling on pedal boat. Portrait of smiling couple in love enjoying pedal boating. Girlfriend and boyfriend cuddling on pedal boat.